Honeywell company profile: Complete details and official website details are gathered and a collection of information is given below. Placement papers download available here. Honeywell is a conglomerate industry established in the year 1906 by Albert Butz, Mark C. Honeywell. Honeywell has diversified business units like aerospace, transportation systems, automation and control solutions, Performance materials and technologies. Honeywell International Inc., is a merger of Honeywell Inc which was acquired by AlliedSignal. This company has its employee count of 58,000(approximately) from US. Be the premier growth company delivering unsurpassed value to Honeywell customers by providing Innovative Total Solutions and Services enhancing the safety, security, comfort, energy efficiency and productivity of the environment where they live, work and travel. 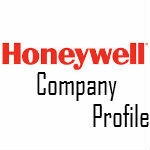 Honeywell provides value-added products and market changing innovations. Our extensive intellectual property portfolio generates competitive advantages for us and our customers. A customer-centric approach ensures that we have more frequent interactions and simpler processes that maximize efficiencies and drive results. – Sets up the project of TDC-3000 distribute control system in India. – “Total plant” Honeywell’s new generation automation plant was launched. – Tata industries and Honeywell had a joint venture called Tata Honeywell. – Sets up electronic security solutions in Bangalore. – Won the sustainable energy award by American institute of Chemical engineer. – Forbes magazine cited Honeywell as America’s most inventive company. – For transportation category, Fast company Magazine referred Honeywell as the most innovative company. – Businessweek magazine citied Honeywell as best place to launch career. Source : Wikipedia & Honeywell Website.